Unless treated early, it can eat away at your gums and bone, leaving you with loose or missing teeth and other serious health problems. Scranton area gum disease dentist, Joseph Kelly, Jr, D.M.D., is a periodontist and your choice for repairing existing damage and preventing further problems caused by gum disease. Periodontal disease has many causes and many of its victims are not even aware they have this serious bacterial infection. At Kelly Dental Care we have extensive training in the latest treatments, and we'll assess your situation and offer you a range of recommended solutions to treat your gingivitis or periodontitis. Don't risk your health by ignoring the problem any longer. Call for an appointment today at (570) 587-4787 for a healthy, more beautiful smile tomorrow. Or fill out the online form for easy scheduling. We have several convenient payment options and flexible scheduling to fit your busy life. If you're looking for affordable gum disease and gingivitis dentistry in Wilkes Barre you don't need to look any further. Periodontist Joseph Kelly, Jr, D.M.D., is the gum disease dentist that Wilkes Barre residents trust to deliver experienced and professional dental care. This can also occur as the result of receding gums, a common symptom of gum disease. If your teeth are sensitive, please call Kelly Dental Care today at (855) 695-7452 to schedule a consultation. Regular cleanings and check-ups and daily brushing and flossing are key weapons in the fight against these conditions so call Kelly Dental Care today at (855) 695-7452 to schedule a checkup soon. 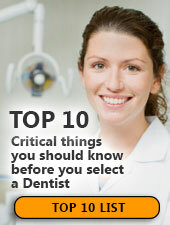 When it comes to basic dental care, Dr. Kelly will tell you that nothing tops brushing. If you choose to use a manual toothbrush, be sure that it is small enough to reach your entire mouth easily. Also, bristles that are too firm can cause your gums to bleed. Those who prefer something a bit more convenient and comfortable might consider an electric toothbrush. Be sure the head is soft and the bristles move in a back-and-forth motion. If you have questions about your toothbrush, call us at (855) 695-7452 and we’ll be pleased to offer recommendations.